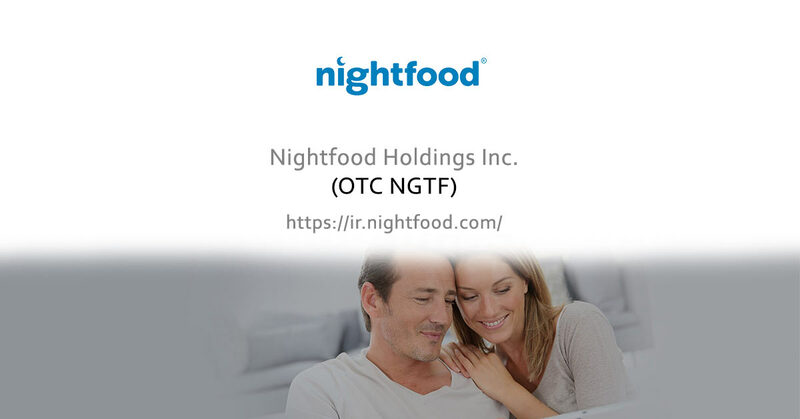 NightFood ( OTC : NGTF ), “The Nighttime Snack Company”, is a snack food company dedicated to providing consumers delicious, better-for-you, sleep-friendly choices for evening snacking. According to IRI Worldwide, 44% of snack consumption occurs at night, representing a consumer spend of over $1B weekly on nighttime snacks. This interview may include forward looking statements. These forward-looking statements generally are identified by the words “believe,” “project,” “estimate,” “become,” “plan,” “will,” and similar expressions. These forward-looking statements involve known and unknown risks as well as uncertainties, including those discussed in the following cautionary statements and elsewhere in this release. Although the Company believes that its expectations are based on reasonable assumptions, the actual results that the Company may achieve may differ materially from any forward-looking statements, which reflect the opinions of the management of the Company only as of the date hereof. SmallCapVoice.com, Inc. received $875 from the company on 11-17-17 for 30 days of investor conference call service.